Export data in an .xml form in library to a list? I'm fairly new to SharePoint so I apologize in advance if this is a silly question with a silly answer. I was originally trying to submit data from an InfoPath form into a list; this isn't possible apparently, so I instead routed the submittal to a document library. Because of this, the library is being filled with the .xml forms rather than auto-populating columns with the field info. Is there a way to export the data within these .xml files into a list so that they can be accessed? The end goal of this whole process is, boiled down to its basics, to send an email using the address that was put into the form. 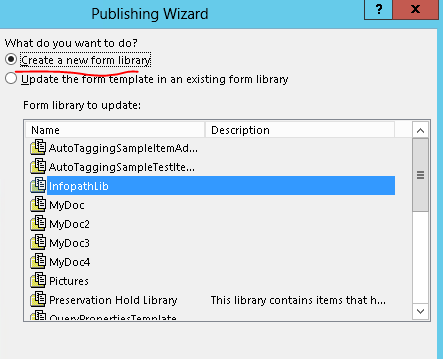 Sample demo to publish infopath to SharePoint online as form library. Then, add submit rule for your submit button. Not the answer you're looking for? 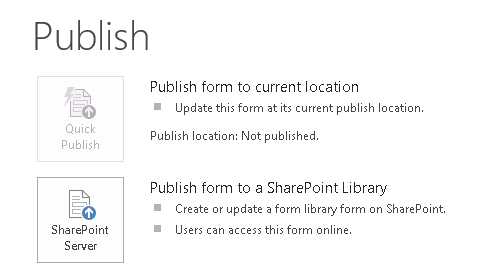 Browse other questions tagged sharepoint-online list document-library form or ask your own question. 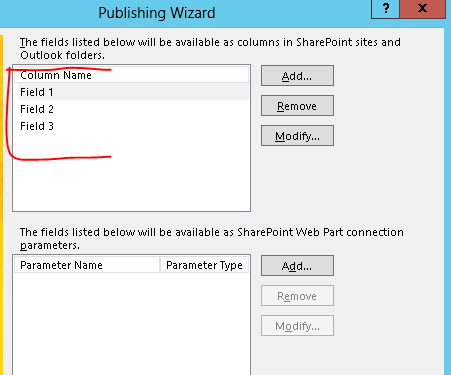 Sharepoint list to XML including the headings? 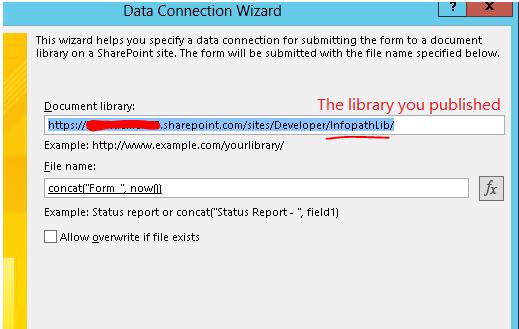 Should I use a SharePoint list, or library for my InfoPath form? How to generate reports from Form Library documents?